Style and glamour is something that the Apple has never really compromised on. 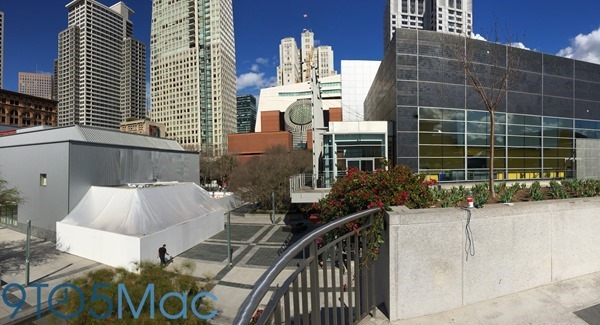 Reports and photos are coming in where Apple is likely setting up an outdoor extension at the Yerba Buena Center for the Arts in San Francisco, which will serve as the spot for Apple’s upcoming ‘Spring forward’ media event. Apple’s events have always held that exuberant display of style and exclusivity, be it their products, on-stage announcements, or demo areas. And according to 9to5Mac, who received these reports of a mysterious structure touted as an Apple demo area for its press event on the 9th of March, from a tipster, there are guards patrolling the construction’s site wearing ‘Apple Security’ shirts. So in case you thought this could be any random tented space for now, it is unlikely. If the tip about Apple security being at the spot is true, there is no reason to doubt that this space could well be the venue where Apple would be demoing the Apple Watch as it provides further details on the device’s features, pricing, and release date. Last year, Apple built a similar external structure outside the Flint Center where it announced the Apple Watch and the area served as a demo center for the iPhone 6, iPhone 6 Plus and the Apple Watch. 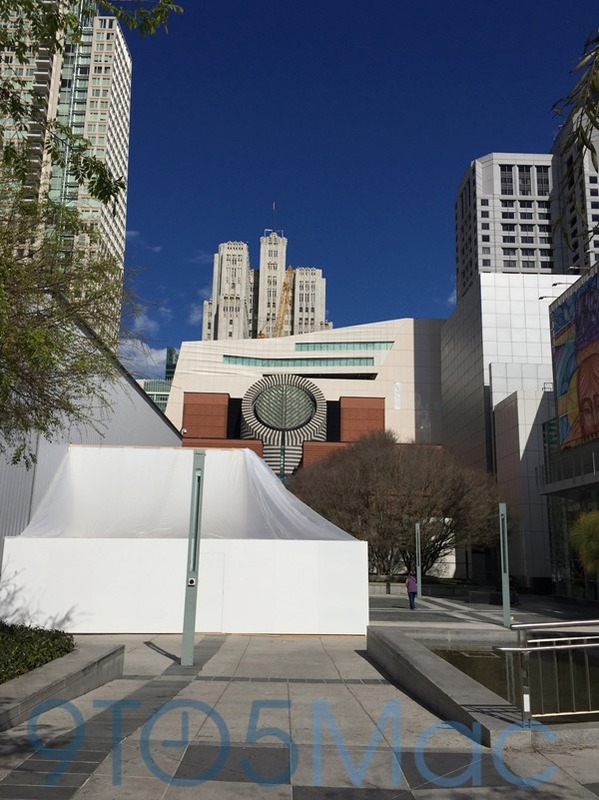 As for Yerba Buena, Apple has used the side rooms at the center as demo areas in the past as well so there is no reason Apple cannot use those again for demoing purposes. The invites for the ‘Spring forward’ media event were sent out by Apple just last week, and for those who still want to catch the whole thing live will be excited to hear that the company will be live streaming the whole keynote on its own website. To kick off on the 9th March at 10:00 AM Pacific Time, the event will be held at the Yerba Buena Center for the Arts in San Francisco, and is the one which Apple Watch fans should be keeping a close eye on. 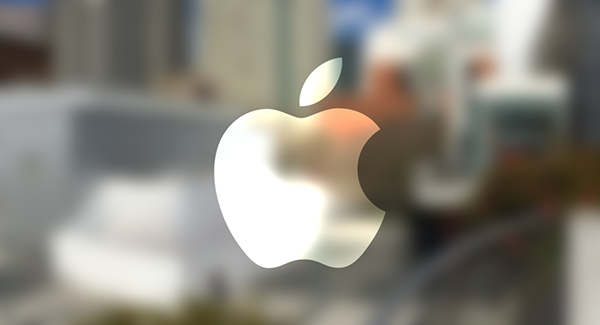 Are you excited about Apple’s ‘Spring forward’ event? Do let us know your thoughts and opinions in the comments section below. I want one Apple Watch, if price will be under $400, I’ll buy one.. 😉 They are really cool and beatiful.